We believe in using our resources to serve the greater good. Over the last three years we have contributed over 1000 hours to pro-bono activities. We have a dedicated pro-bono committee which vets initiatives proposed by lawyers to ensure that we are supporting quality programs in a meaningful way. The pro-bono committee and firm encourage and support our lawyers in doing pro-bono work with various organizations. Providing pro bono advice to Pivot Legal with respect to the application for a safe injection site. Providing pro bono employment advice to Folk on the Rocks, an annual music and cultural festival hosted in Yellowknife. Acting as pro-bono counsel to Can Praxis, Canada’s leading provider of equine therapy treating veterans of the Canadian Armed Forces, first responders and their families struggling with post-traumatic stress disorder and operational stress injury. Providing legal advice to a society working to connect aspiring farmers with owners of unused land. Assisting an individual to have a Certificate of Incapacity vacated. Incorporating an organization that has developed technology to identify handicapped parking spaces to municipal bylaw officials for ticketing as a charity for tax purposes. Representing the Canadian Bar Association in a long pro bono retainer at all levels of court in a case where the Federation of Law Societies of Canada challenged the constitutionality of provisions of the Proceeds of Crime (Money Laundering) and Terrorist Financing Act and its Regulations that would require lawyers to record client information about certain transactions involving the receipt or payment of funds by lawyers, and which purport to authorize wide-ranging warrantless searches of lawyers’ offices by FINTRAC to ensure compliance with the Act and Regulations. The Supreme Court of Canada’s decision reaffirmed the protection of the solicitor-client relationship from state interference, and recognizes a lawyer’s duty of commitment to their client’s cause as a principle of fundamental justice. Representing the British Columbia Civil Liberties Association (BCCLA) as intervener in A.B. v. Bragg Communications Inc., 2012 SCC 46. In that case, a 15 year old girl sought assistance from the courts to uncover the identity of the person who created a fake Facebook profile of her containing allegedly defamatory remarks. A unanimous Court agreed with the BCCLA’s position that any harm to A.B. from having to reveal her identity could be avoided by allowing her to proceed anonymously, but that freedom of expression and the open courts principle required publication of the fake profile. 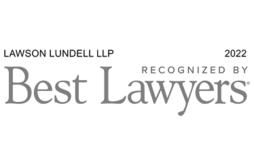 In 2010, Lawson Lundell won Gold at the Lexpert Pro Bono Zenith Awards honouring pro-bono contributions in the Civil Liberties category for our work with the BC Civil Liberties Association. 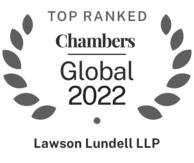 Throughout the firm’s history, Lawson Lundell has recognized its duties to both the legal profession and the larger community. 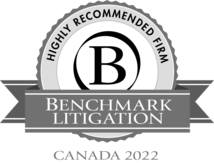 Our lawyers have filled executive positions in many legal organizations, including the presidencies of the Law Society of British Columbia, the Canadian Bar Association and the Federation of Law Societies of Canada. Our lawyers are frequent speakers to both professional and business groups and volunteer their time as instructors in legal training programs. Several of our lawyers have also assisted in drafting sample legislation and amendments to legislation.